Beautiful detailed descriptions of everything from the colors of a lake in springtime to the lace on a Contessa's dress fill this lovely small book. 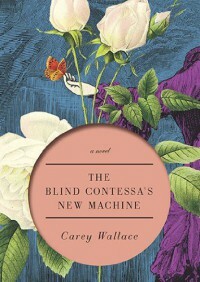 It is based on the true story of the blind woman who inspired the invention of the typewriter. Interestingly enough, some of the most elaborate "descriptions" come from the servant who is requested to describe elaborate pictures from a set of books given to the blind Contessa. The servant has a vivid imagination and invents elaborate scenes that are not actually in the books. I would have given it 5 stars but for the ending. I was bewildered by it and would have liked more of an explanation. I will leave it at that so as not to spoil it for you.